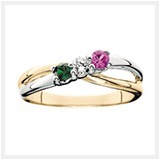 Mother’s Rings with personalized birthstones representing the month of each of her children’s births make wonderful gifts. 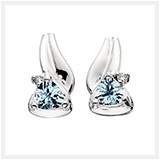 Choose from a variety of styles and settings to honor your mother on Mother’s Day, her birthday or just because. 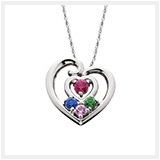 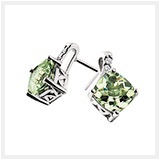 Or choose from other birthstone or engravable jewelry. 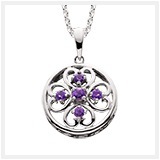 Impressive designs of traditional and engravable family jewelry are featured within a broad range of rings, pendants, bracelets, nameplates, necklaces and earrings. 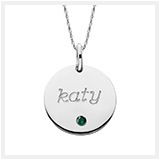 Customize your jewelry with engraving and birthstones.